Relinquishing her crown as the 2009 Queen will be Elsa De Leon. Elsa reigned at our last year’s fair so eloquently along with her court. The court presents all of the prizes and awards to the Youth Fair winners during the three day event. Elsa is the 17 year old daughter of Mario F. & Norma De Leon of Roma. 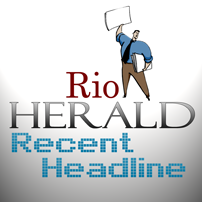 The pageant is returning to Rio Grande City. Each year the pageant moves to various communities that are involved in the fair. Next year it will be in San Isidro. If you are between the grade levels of pre-kinder & high school and would like to experience the fun and magic of the longest running pageant in Starr county sign up and be a participant!! This is not like other normal beauty pageant because this pageant is set up to encourage and reinforce the confidence and natural beauty that is within each girl. The pageant helps each girl develop poise and self-confidence as they walk across the stage. Participants will have the opportunity to express themselves in the selection of their costume and the smile that generates their personality. We invite families to come and celebrate the 46th Youth Fair and jumpstart the event by getting involved in this year’s pageant in Rio Grande City. Come and experience the magic of the pageant, make new friends and have a great time. All participants will reap the benefits, build their self-esteem and appreciation of self. Everyone is a winner when they fulfill a dream. Applications are available at all Starr county schools or at the Extension office.